E3 2017 is shaping up to be quite the event. 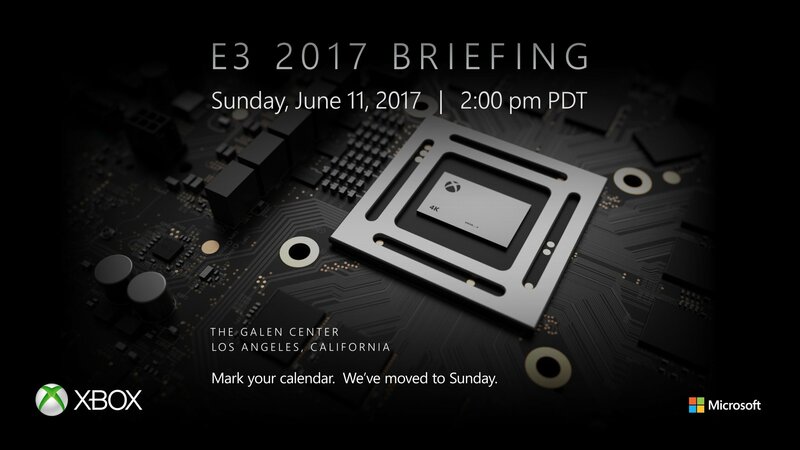 In addition to being open to the general public for the first time ever, Microsoft has revealed the date and time for its annual briefing complete with Project Scorpio teaser. Microsoft’s E3 2017 press briefing will take place on Sunday, June 11, at 2:00 PDT from the Galen Center in Los Angeles. Although the announcement wasn’t accompanied by any details regarding the system save for a photo first shared last year, it’s a safe bet to say that a good portion of the briefing will be focused on the upcoming console. Microsoft up to this point hasn’t revealed tons of details on Project Scorpio although if the company is to be believed, it’ll be the most powerful gaming system the world has ever seen. If true, Microsoft’s system would steal the performance crown away from Sony’s PlayStation 4 Pro, the current king of consoles. The Redmond-based company has previously confirmed that all games it plans to launch in the Scorpio time frame will run natively at 4K. Project Scorpio was unveiled at E3 2016 with a launch date targeting the 2017 holiday season. Much like the PS4 Pro, Project Scorpio (any guess on what the actual name will be?) will exist alongside the current Xbox One and Xbox One S rather than serve as a full-on replacement.